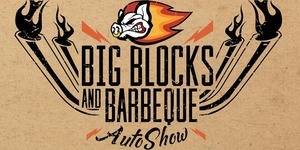 The first annual Big Blocks & BBQ Auto Show will take place on Sunday, August 19, 2018 from 10:00 AM – 4:00 PM at Ives Concert Park (43 Lake Avenue Extension). Check out the hottest classic cars, hot rods and custom motorcycles while enjoying good food and live music with the whole family this August. Join Danbury Auto Spring & Welding and BadAss Grills and show off your classic car, truck, motorcycle both vintage and new at this trophy show. All clubs welcome! General Admission: $10.00 per person - Kids 10 and under free! Want to enter your vehicle in the show? Price to enter vehicle is $15 online, $20 at the door.